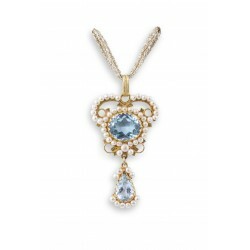 > 18K gold pendant " RUGIADA AZZURRA"
Filigree pendant in Gold 18K, with blue topaz and micro-pearls. Filigree pendant in gold 18K, with blue topaz and cultured micro-pearls. 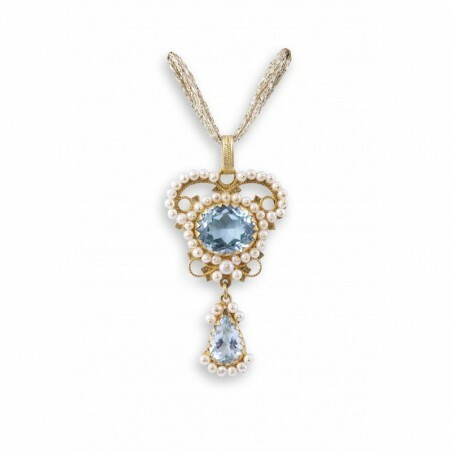 This refined and original jewel reinterprets traditional Sardinian goldsmith's art in a more classical perspective.